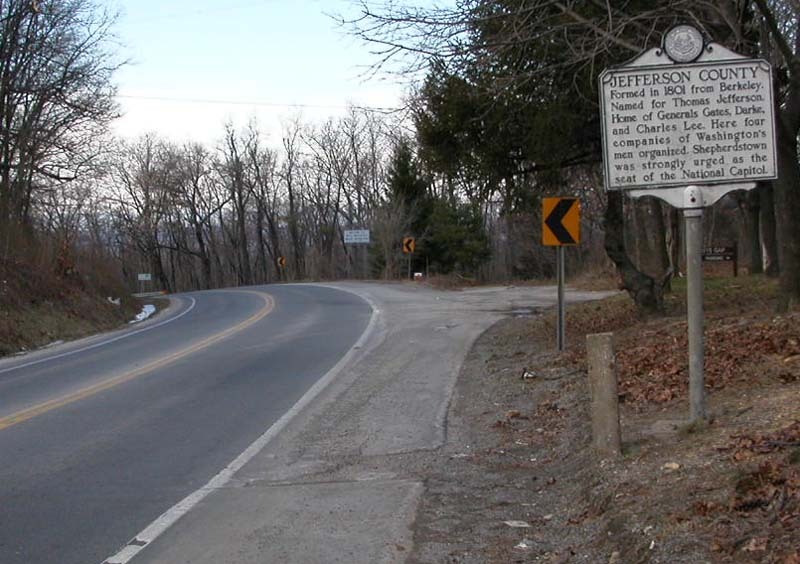 First of a series of 9 photographs by Tim Reichard detailing the signs and monuments at the Virginia/West Virginia border along VA 9/WV 9. This first one is looking westward into West Virginia. Photo by Tim Reichard, taken January 13, 2003. 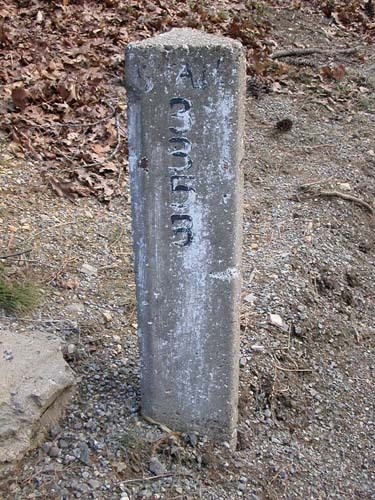 In this shot, we get a closer look at the historical sign and an older granite line marker. Photo by Tim Reichard, taken January 13, 2003. 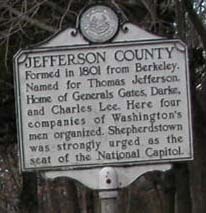 A close-up of the historical sign. Photo by Tim Reichard, taken January 13, 2003. Close-up of the other side of the historical sign. Photo by Tim Reichard, taken January 13, 2003. A close-up of the line marker. Photo by Tim Reichard, taken January 13, 2003. 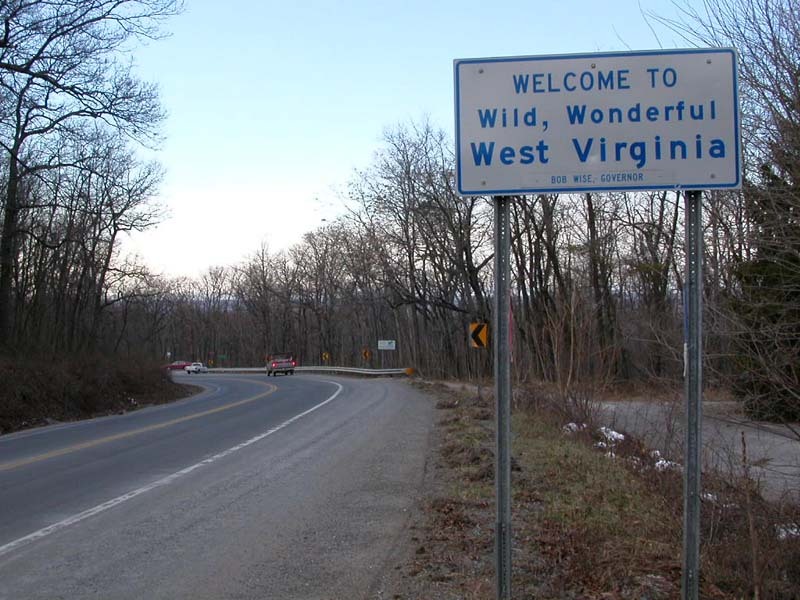 Further around the curve, we run into a West Virginia welcome sign. Photo by Tim Reichard, taken January 13, 2003. 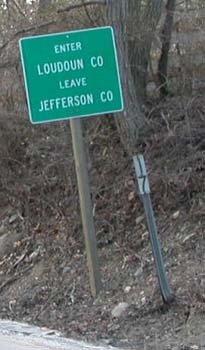 As one heads eastbound into Virginia, one finds a standard Virginia county line sign. Photo by Tim Reichard, taken January 13, 2003. 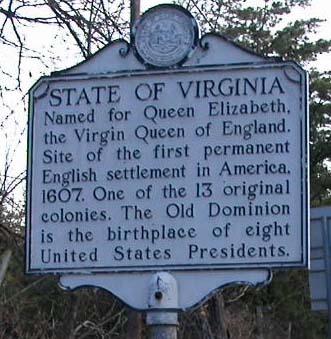 Also present are a Welcome to Virginia sign and others. Photo by Tim Reichard, taken January 13, 2003. 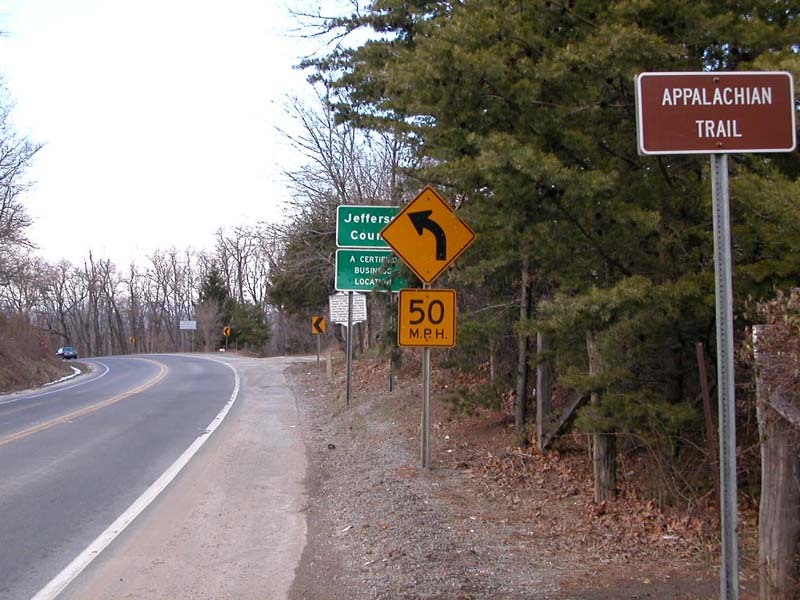 The first eastbound reassurance shield, seen after one comes around the curve. Photo by Tim Reichard, taken January 13, 2003. 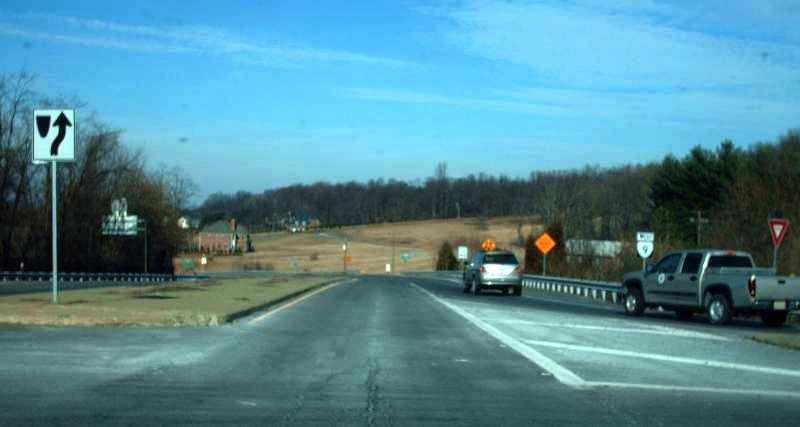 The scene as one approaches the interchange with VA 7, where VA 9 ends. Photo by Tim Reichard, taken January 13, 2003. Approaching the overpass over VA 7. 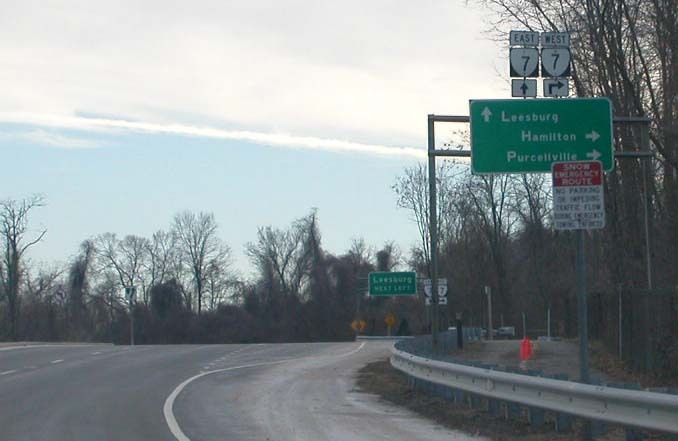 The "Leesburg Next Left" guide sign was built over a pedestrian path. Photo by Tim Reichard, taken January 13, 2003. 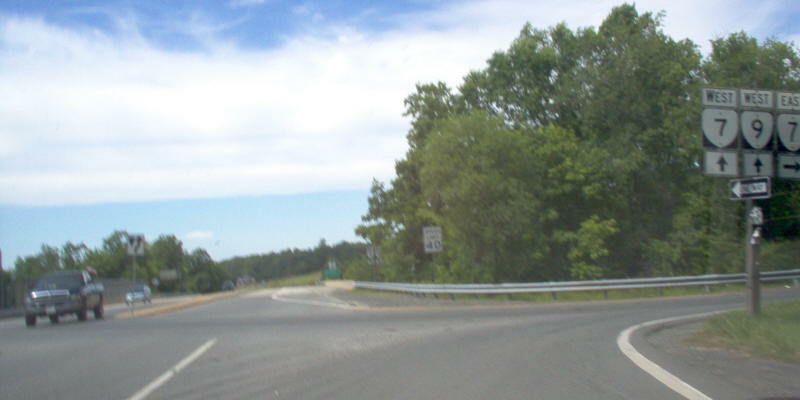 From the eastbound end of VA 7 Business. Photo by Mapmikey, taken June 10, 2006. 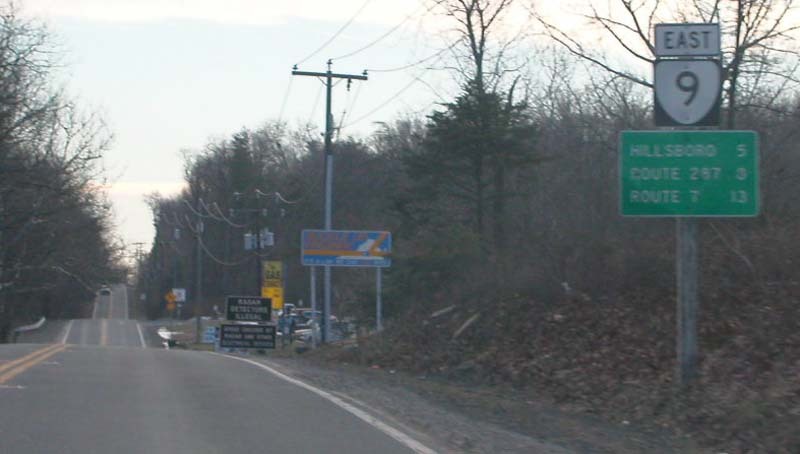 VA 9 leaving VA 7. Photo by Mapmikey, taken January 23, 2009.